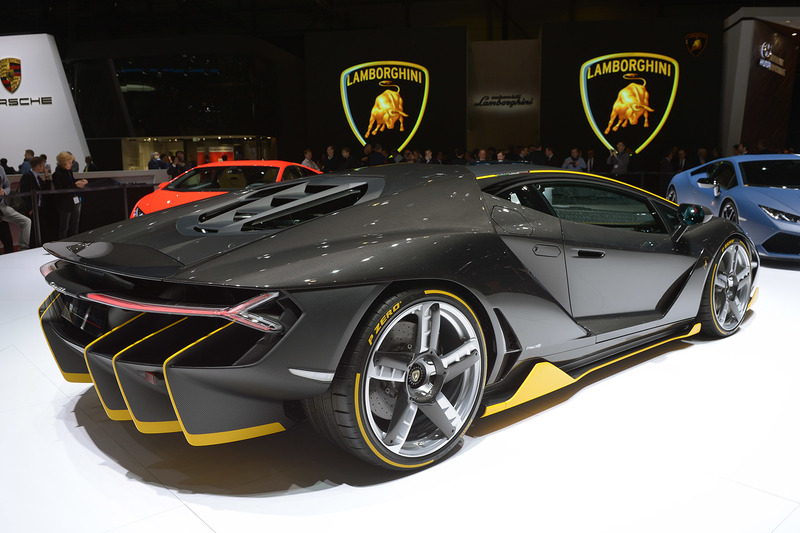 Lamborghini showcased its 760 bhp Centenario at the 2016 Geneva Motor Show. 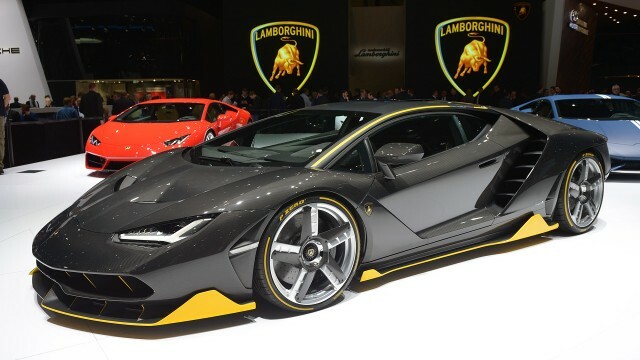 The latest hypercar by the Italian automaker was launch in the celebration of 100th birthday of its founder Ferruccio Lamborghini. 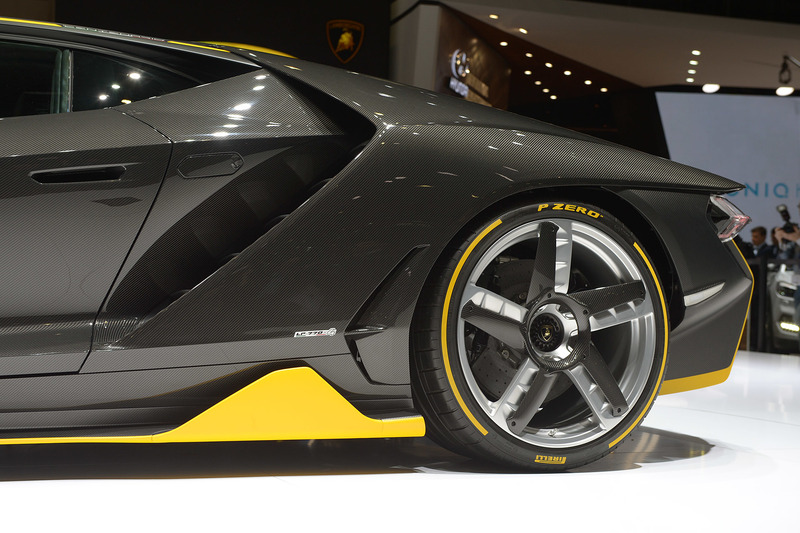 According to reports, it is basically Aventador underneath but with improved specs and updated body styling. 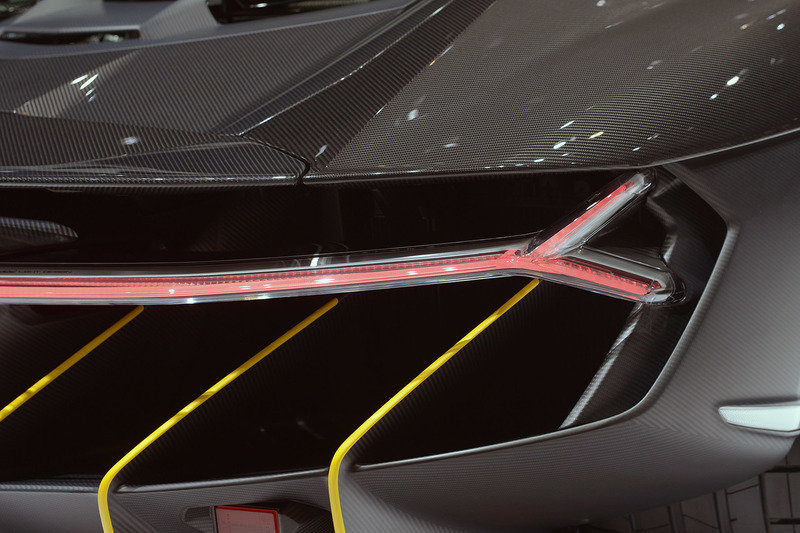 Lamborghini Centenario is built upon a carbon monocoque and housing a V12 motor in the rear. 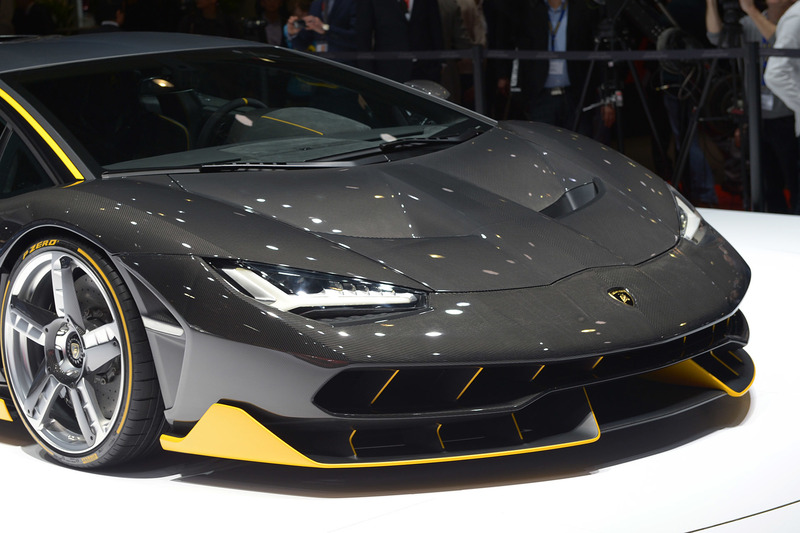 Lamborghini Aventador SV, the fastest Aventador, makes 750 bhp. 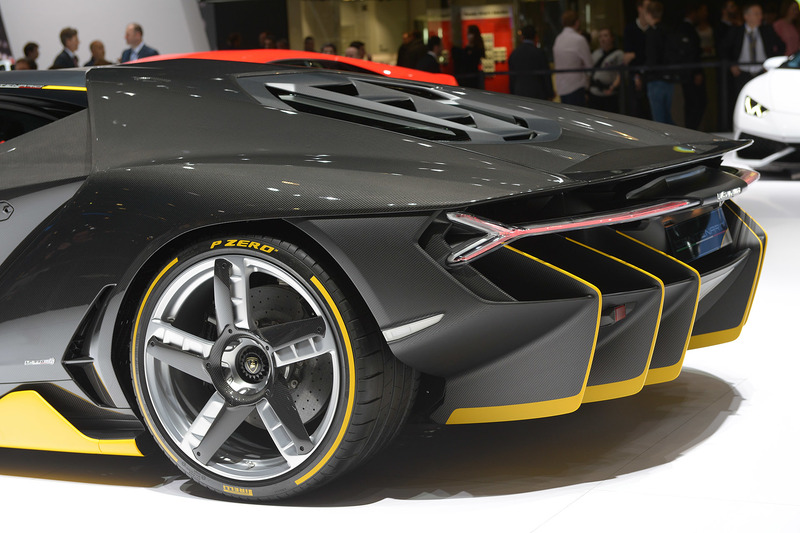 The Centenario makes 20 more than then SV Aventador (metric system). 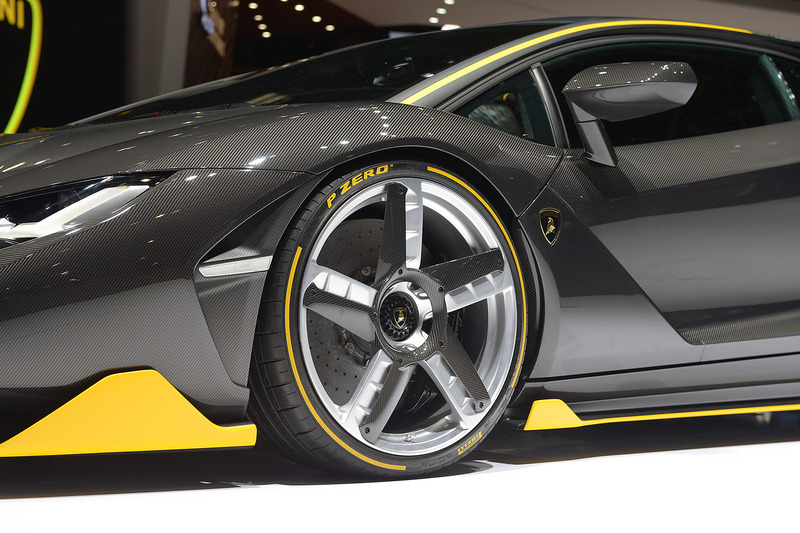 That is enough power to make the car go 0-100 km/h in 2.8 seconds and then to the top speed of 217 mph. 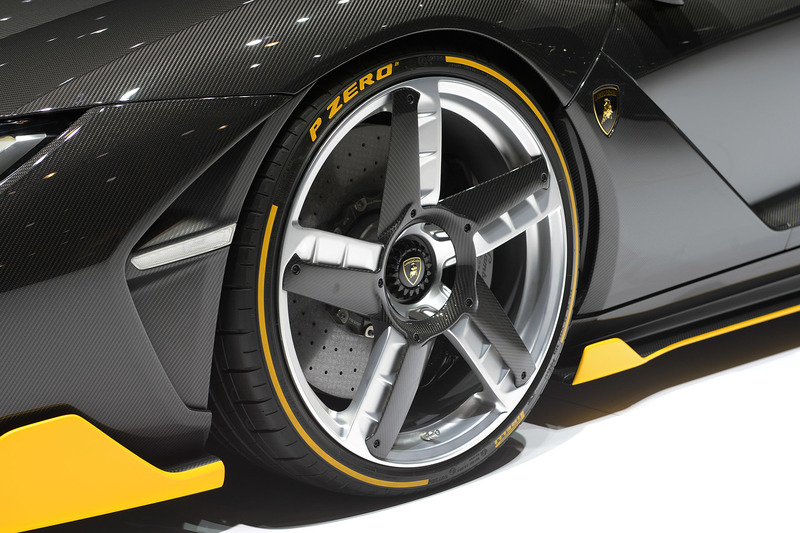 The new Lamborghini hypercar comes with carbon-ceramic brakes and magnetorheological dampers, making sure car stops and handles as it should. 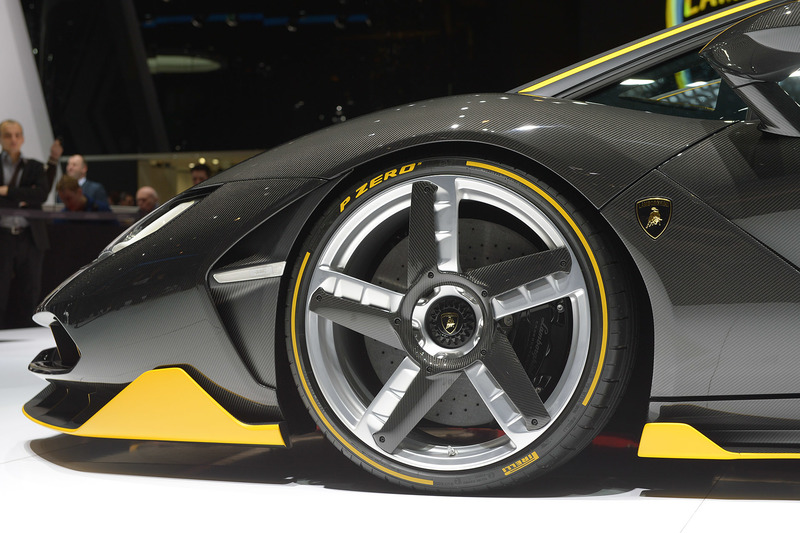 And to further help to perform better in corners, the Centenario comes equipped with a four-wheel steering system. 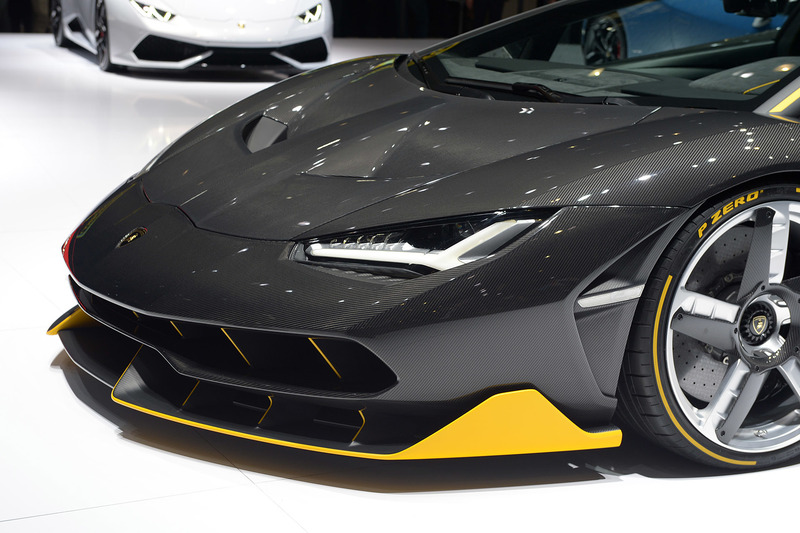 Visually, the car definitely looks more aggressive. 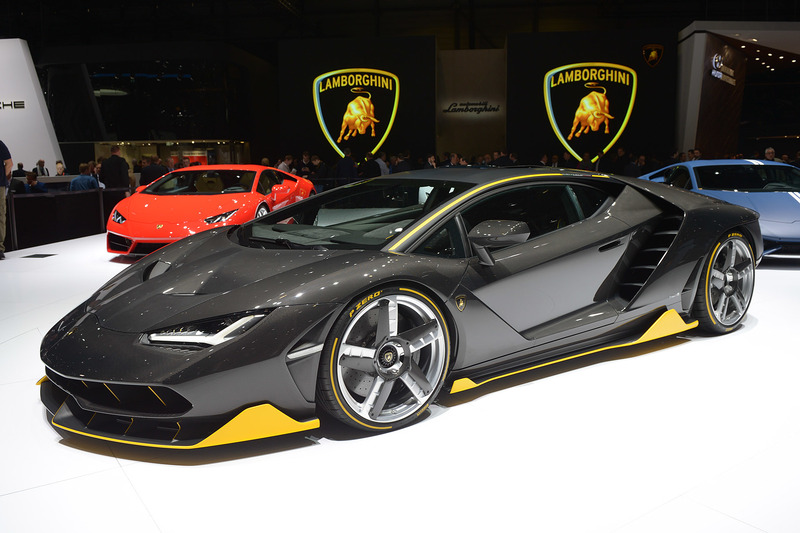 Body lines and curves are more angular and sharper, making Lamborghini Aventador appear tamer in front of Centenario. 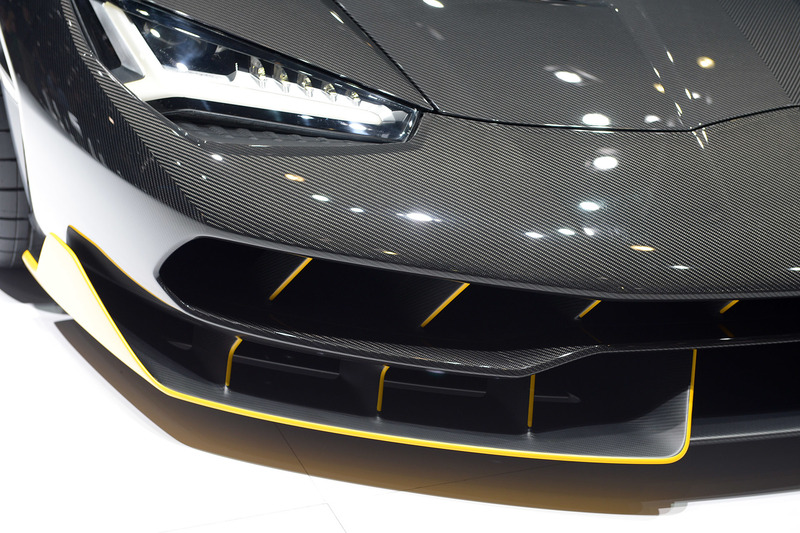 The front end is all but a massive air intake. 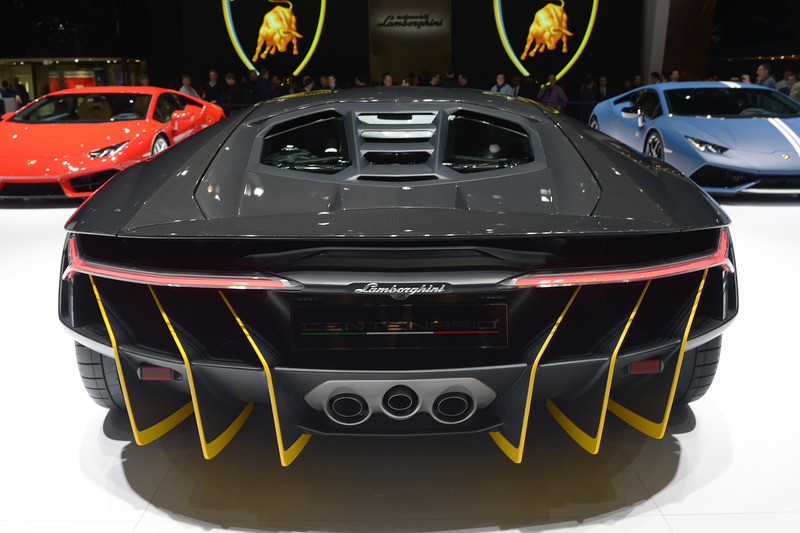 And both sides at the rear next to doors have giant vents. 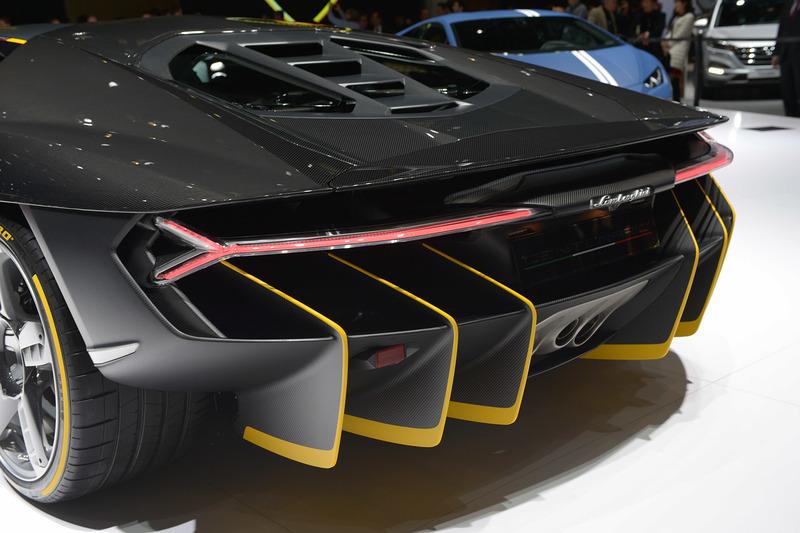 The back of the car holds huge diffuser. 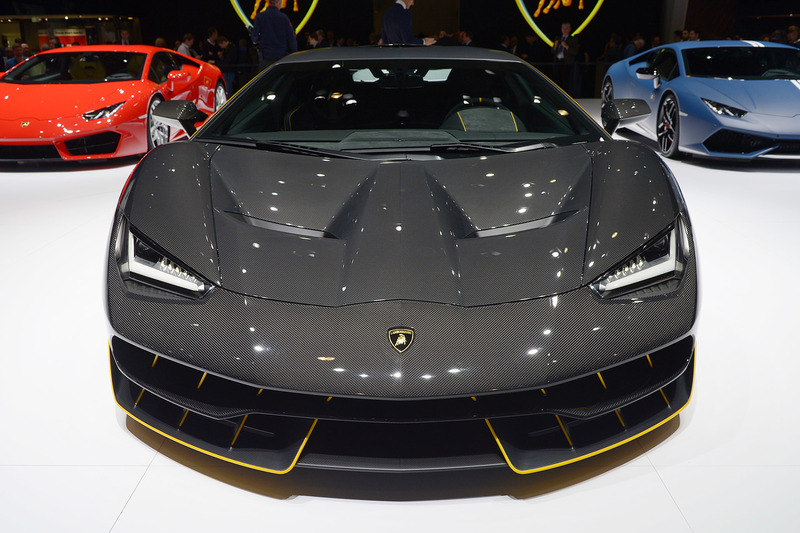 Even the bonnet has two giant dimples on both sides. 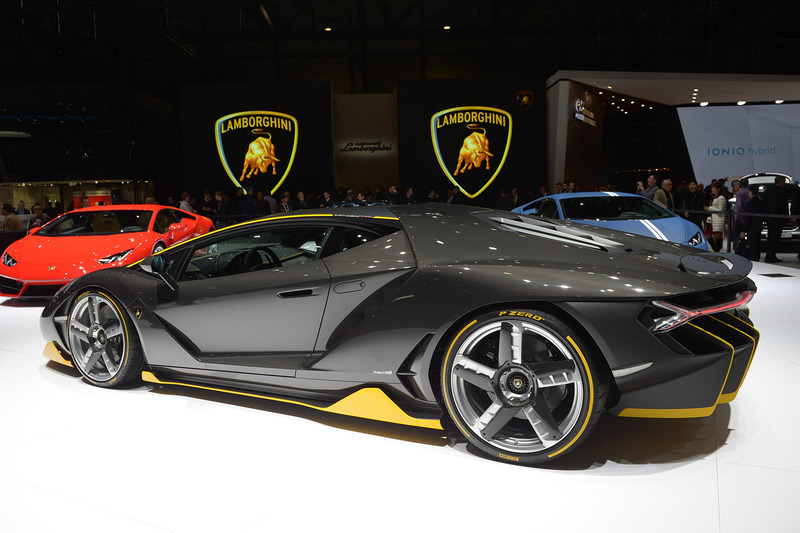 Lamborghini has decided to produce the car in limited numbers only. 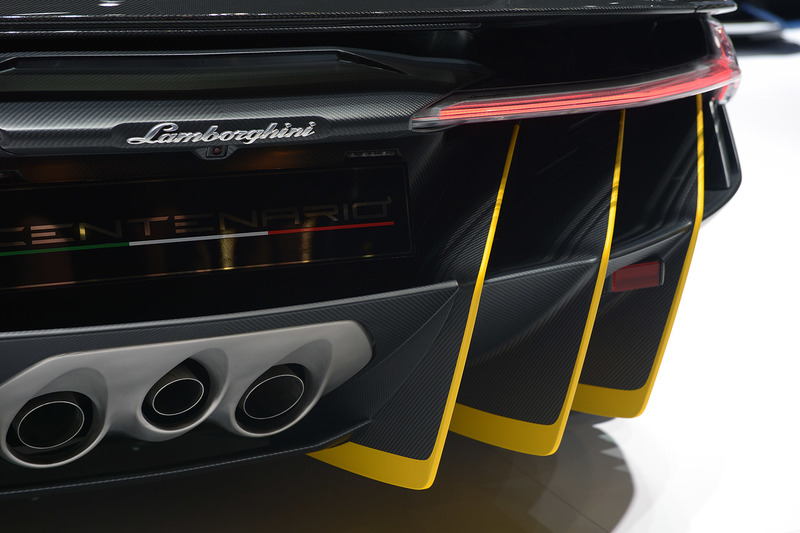 According to the company press release, only 40 of Centenario cars will be produced; 20 of them will be coupes and rest of 20 will be roadsters. 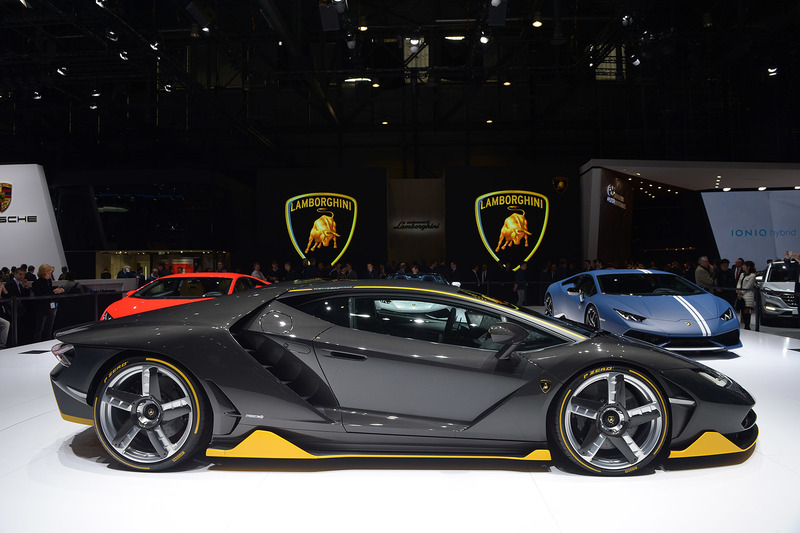 And as expected from any exclusive supercar maker, all of them have already been sold. The car displayed didn’t have a paint coat. 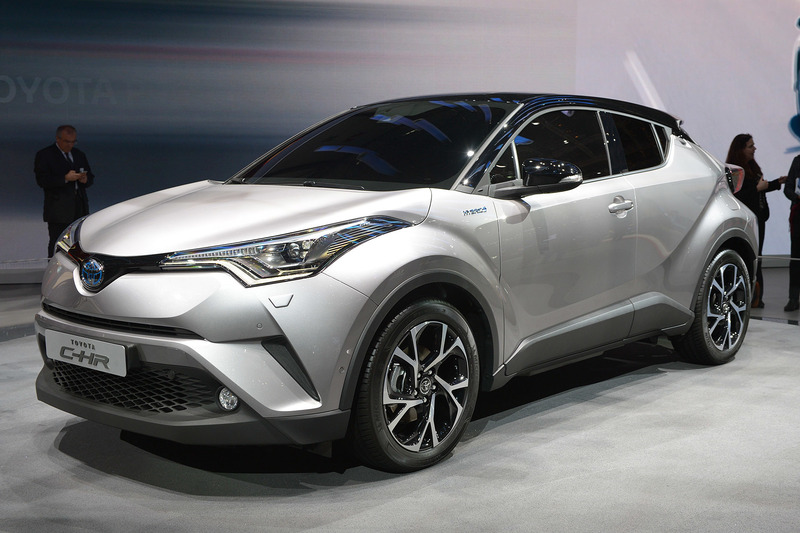 The company told that cars will be painted according to customer’s desires. 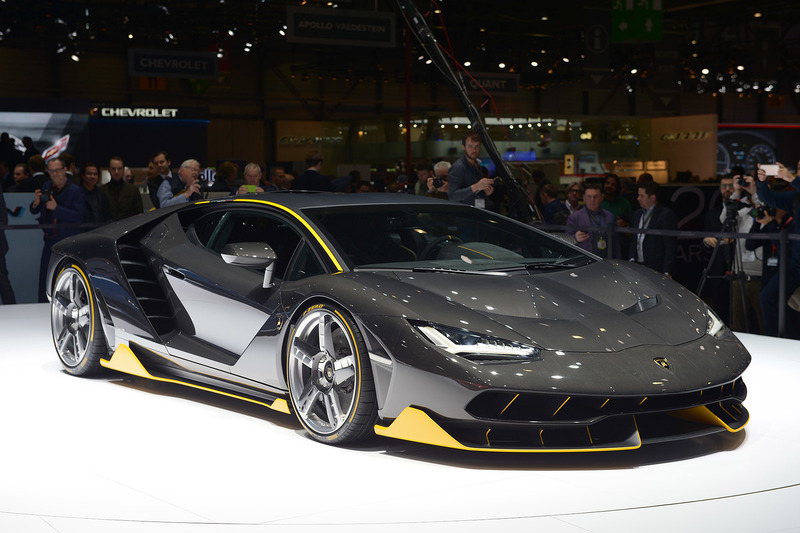 The car approximately priced around $1.9 million. 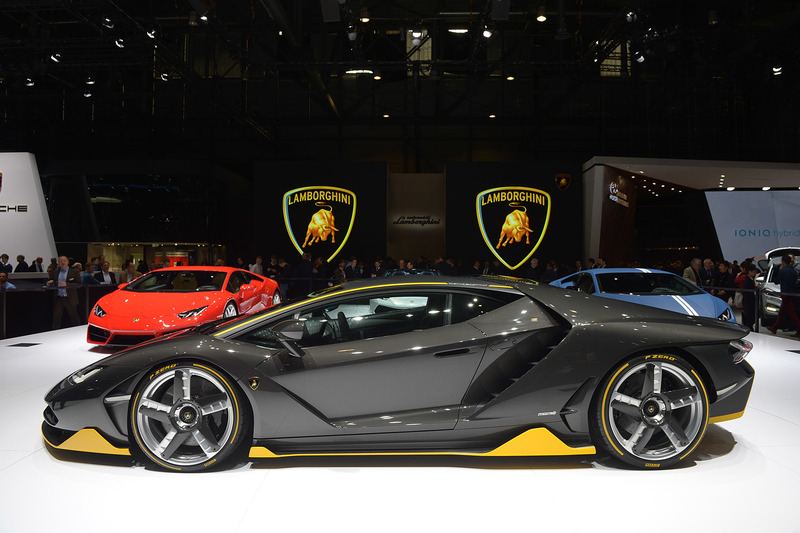 It is nearly four times the price of Aventador Superveloce.